Monica Morales grew up in Reno, the daughter of parents who each work at casinos. So it was probably inevitable that her career path would come down to a game of chance. As a senior in high school, Morales was excited to be headed for college. The only question was what to study. Everything from medicine to fashion design was under consideration. Then one day, a civil engineer sat down at the table in the casino where Monica’s mother, Rebecca Morales, was dealing blackjack. They chatted about his work, and, knowing how much Monica loved math and science, Rebecca started thinking, “This career sounds perfect for my daughter.” She asked more and more questions, so she could come home with a full report. A decade later, Morales has played her cards remarkably well. 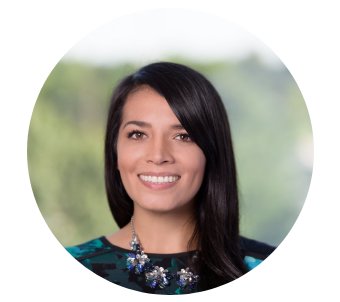 She has a master’s degree in civil engineering and works as a water engineer for Jacobs in Los Angeles. 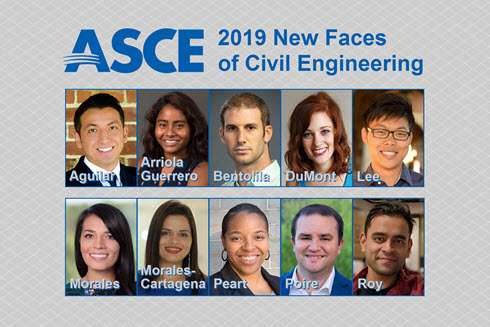 ASCE has honored her as a 2019 New Face of Civil Engineering. We should step back and note that attending college was in itself a monumental accomplishment for Morales, regardless of her choice of major. Her father, Gustavo Morales, grew up among nine siblings in Mexico, his family often so poor they couldn’t afford shoes. Rebecca, her mother, spent some of her childhood homeless, before entering the foster-care system. “With those very tough upbringings, my parents didn’t have the good fortune to go to college,” Morales said. “My mom was born in the states, and she understood that those who did go to college were able to make stable incomes and have professions that they enjoyed or careers that they loved. So, she put it in my mind that I should do well in school and then go on to college. The next few years took her to graduate school at Oregon State, and then to Cincinnati where her husband was studying, and finally to Los Angeles, where she was able to work on the kind of engineering projects that sounded so exciting to her in the first place. Most recently, Morales has taken a lead with Jacobs in the Pure Water San Diego Program, helping to design pipelines for its Advanced Water Treatment Plant. 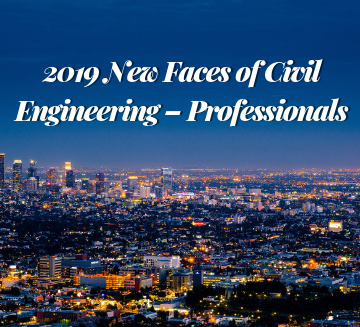 The move to L.A. also put Morales in a unique position to inspire future civil engineers. 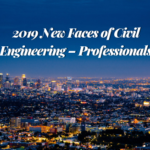 She joined ASCE’s L.A. Younger Member Forum and immediately got thrown into the fire, one that she enjoys being in. “Here Monica, here’s something you can do,” Morales said, laughing. Morales, still new to the group and the city, took on the role of Dream Big: Engineering Our World chair just as the IMAX film was hitting theaters. She hit the ground running, setting up two hands-on STEM activities for kids attending film screenings. That turned into a Dream Big event for Angeles Mesa Elementary – a completely free field trip, with buses, the movie, and museums for more than 400 students. 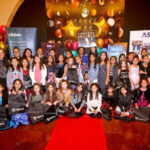 Since then, Morales has helped organized numerous events (she figures she’s seen Dream Big more than 30 times) and reached thousands of students in the Greater L.A. area. She’s also now the YMF’s secretary and Engineers Week chair. 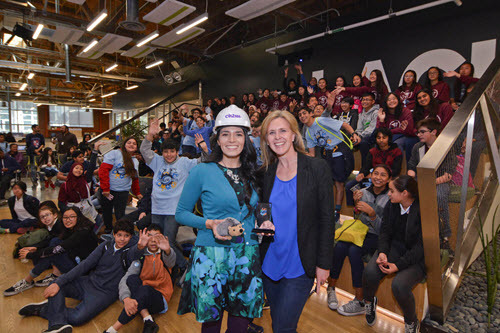 “It means so much because I’m that little girl who wasn’t able to learn about engineering until she was choosing her college major,” Morales said. “So it’s great being able to create events for kids like me who maybe wouldn’t have learned about this field otherwise. Now, when her parents talk about civil engineering with people at the casino, they’re talking about their own daughter. “I get choked up because I just had a conversation with my dad,” Morales said. “My father is very stoic. He doesn’t give compliments too easily. And he said for the first time in English how proud of me he was – reciting everything that has made him proud, my career choice, how well I’ve done in school, how hard I’ve worked. “They’ve provided so much love and support and just good morals, and I can’t thank them enough for that really loving household they provided me. Even with not really being able to help me with my homework after elementary school, without that base they provided me, I know for sure I wouldn’t be where I am today.